After years in the doldrums, the analysts say recent developments are providing a much-needed boost. Carbon pricing is an economic mechanism to reduce greenhouse gas emissions, in which organisations can trade “rights” to produce carbon, with an overall cap on the allocation of rights to that emissions are limited. China is making progress on its new carbon markets, which on track to become the biggest in the world. Meanwhile in the EU, carbon trading reforms are having an effect on prices too. The World Bank says these effects will be enhanced by new carbon markets coming forward. Almost a hundred countries in the Paris agreement, which together represent over half of global emissions, say they are using or plan to use carbon pricing soon. 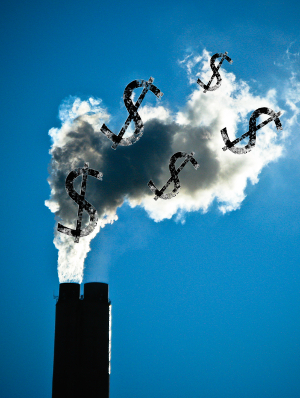 The World Bank’s annual report on carbon pricing found governments raised about $33 billion in revenue in the last year from pricing carbon through carbon trading or taxes – it represents a 50 per cent increase on the previous year. “Governments are starting to see the effectiveness of carbon pricing in their efforts to cut carbon, while also raising revenues for climate and other policies,” said John Roome, senior director for climate change at the World Bank. The total value of the world’s carbon markets (with carbon taxes included) is estimated at about $82 billion this year, compared with $52 billion in 2017, according to the report.